Need some help here, there is no data popping up. Does someone know what could be wrong? Have the same problem here with my PST02-A. Tried to fix it and added a pull request to the main branch last night. This still didn't fix it for me, but at least should apply the correct settings and make the setting screen work. It looks like the settings to the PST02 aren't applied by Homey when initial set-up, and also the settings won't be applied after saving and waking the device. At least for me. 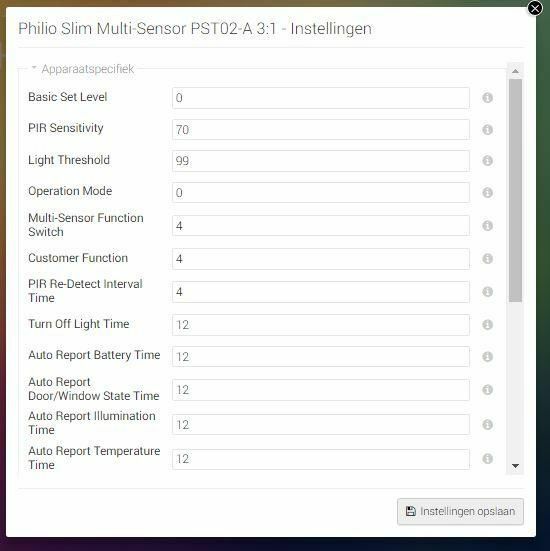 I hope the new version will be in the store soon and then you can retest it with firmware 0.10.5 (with a lot of Z-wave fixes). But don't get your hopes up yet. @caseda, shure, I'll cancel the approval! Further, I really want to add my relay, I'll see if I can figure it out. Yeah, Philio and Zipato are somehow related devices... There are also two apps in the Homey app store supporting the devices. Still haven't found out what the difference is between those yet. V0.0.8 is published in the store! On wicht possition has the jumper to be? I cant read it in het manual. Any news on if the switch (in wall) can be added? There is one function DIP switch in front of the device. Remove the front cover in the right top of the PCB, and also has mark “M1” and “M2” for two switch. Notice: PST02-C don't have DIP switch in hardware. Hi, i Have Read this. My question is about the bigger single horizontale dip switch. And another question is why sabotage is Always in alarm, the swich on the Back is closed. @cautje, i think that is just a tamper button? as soon as you take the cover off it will give a tamper alarm... probably also the reason why it stays on? No, that is the one on the back. I mean the jumper richt above the battery if you open the case. Almost seems like you are the only one wondering that on the interwebs, no information about it anywhere, first thought it was the PIR sensitivity but that is settable in the parameters. maybe the brightness of the LED? I will ask Philio and share the answer here. There are two tamper switches of This is the same as most door contacts. 1 as You have circled for the cover and one which cannot be seen on the back of the sensor. 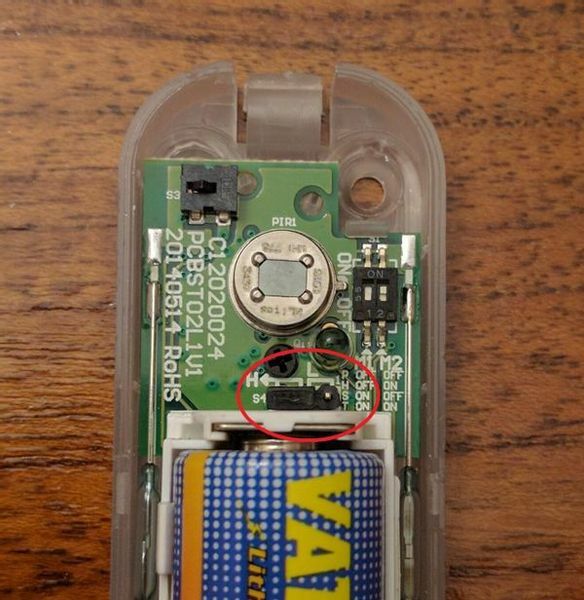 If you look at the cover there should be a corresponding peg or strip that makes contact with this button. A: the jumper is for changing the sensitivity of PIR manually, high and low. this hardware jumper is not for the end user but only for our engineering purpose and that’s why we did not mention it in our user manual. the sensitivity can be adjusted by the software.